Three Japanese two-man midget submarines tried to enter Sydney Harbor in Australia during the late evening of May 31, 1942. This was Japan's Second Special Attack Unit of midget submarines with the first one being the five midget submarines that attacked Pearl Harbor on December 7, 1941. The two torpedoes of the submarine piloted by Lieutenant Keiu Matsuo and Petty Officer Second Class Masao Tsuzuku did not fire. They both took their lives by pistol in order to avoid capture by the enemy. My fellow crewman Petty Officer Masao Tsuzuku is a truly outstanding person who has my utmost trust. Please tell his parents that I am sorry and give them my best regards when you visit them. The six midget submarine crewmen were promoted two ranks after their death in a special attack where they had almost no hope of survival. Tsuzuku received a promotion from Petty Officer Second Class to Chief Warrant Officer. 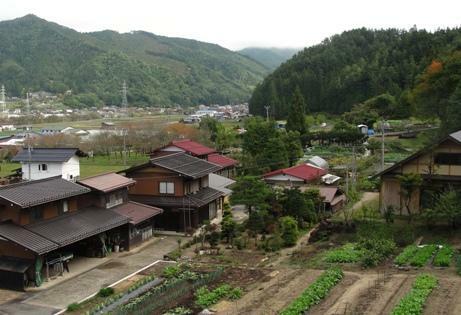 Tsuzuku's hometown of Kokufu Village (now part of Takayama City) in Gifu Prefecture erected a monument in 1946 in remembrance of his heroic deeds in Australia. The monument stands on the grounds of Nishinomiya Jinja (Shrine). 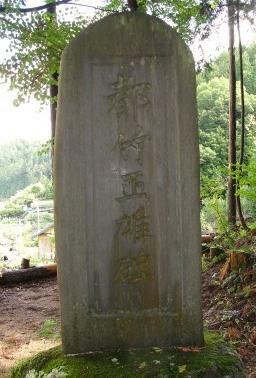 The ground where this tombstone has been erected in this sacred place with a view of Araki Sanzengoku was owned by Kazuo Ushimaru, a descendant of the lord of Hakumai Castle and head of the Anegakoji Clan of Hida Province. This was erected with inspiration regarding the feat of valor when Chief Warrant Officer Masao Tsuzuku piloted a midget submarine that attacked in Australia's Sydney Harbor during the Pacific War. The fame for his bravery became known in the world as he had died honorably in battle. The leveling of the ground for the monument was completed by service of individuals from various organizations in the village including everyone in Minowa Hamlet. Thus, this monument was erected in April 1946. Here now on the 31st anniversary of the war's end as we recall that time, we express our appreciation for the contributions and cooperation of the Ushimaru Family and for the service of everyone. We pray that many people will visit and that it will communicate forever his great achievement. This cypress tree is a treasured reminder of Chief Warrant Officer Tsuzuku, who during the Greater East Asia War piloted a special submarine as a member of the Second Special Attack Unit and died in battle when he attacked a volunteer reserve Allied Forces naval base in Sydney Harbor in Australia. This feat of valor by Chief Warrant Officer Masao Tsuzuku was known by many in the public. Rear Admiral Muirhead-Gould, Australian Commanding Officer at that time, was impressed by this courageous spirit and "the warriors' example despite being the enemy." He officiated at an Australian Navy funeral with full honors for him [and three other midget submarine crewmen whose bodies also were recovered after the attack]. Their ashes were graciously returned to Japan by Envoy Extraordinary and Minister Plenipotentiary Tatsuo Kawai in Melbourne at that time. Minister Kawai made an altar and held an all-night vigil for Chief Warrant Officer Tsuzuku and the three others. When ashes of the war dead were returned to the homeland, some inside Chief Warrant Officer Tsuzuku's container that was offered by Minister Kawai on the altar were put with the cypress tree, planted beside the monument, to serve as a reminder of the war dead. We want this tree to carefully watch over us for many years to come in order to honor our town's brave warrior, Chief Warrant Officer Tsuzuku, who is remembered as a war hero, and to express our appreciation for Minister Kawai's kindness.